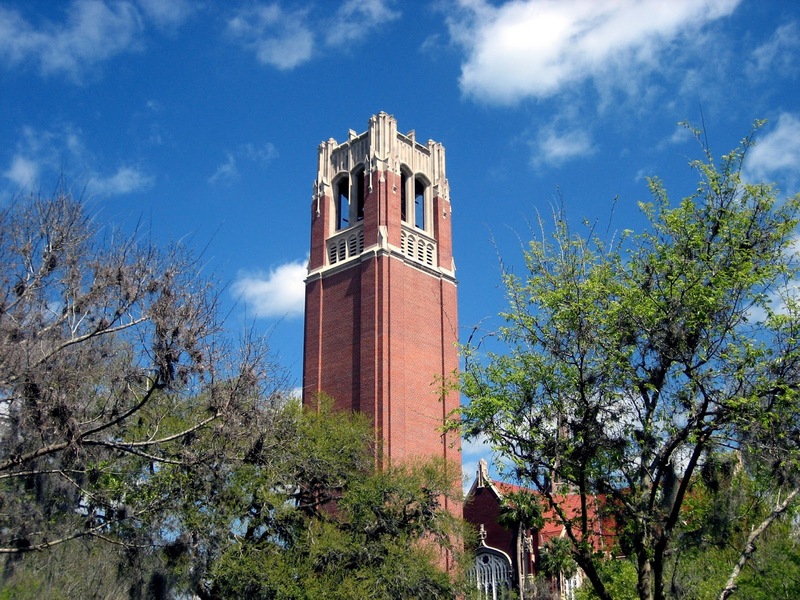 Starting this summer, I'm teaching a course in Data Storytelling and Visualization at the University of Florida as part of its new online Master's program in Audience Analytics. 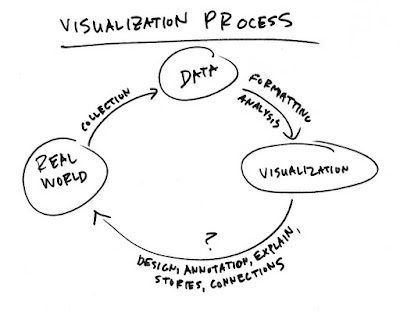 After years of teaching data visualization — both at my home university of Kwantlen and through my public Tableau workshops — I'm excited to be branching out into online learning. In preparing for the course, I asked my Twitter followers for suggestions of what I should add to my reading list. I received a lot of great suggestions and promised that, once my reading list was complete, I'd share it with others. So here it is! First, though, a bit of context. 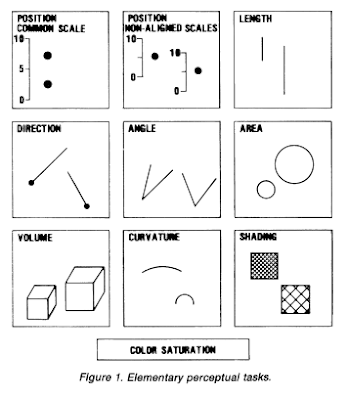 My UF course, like my other data visualization training, has a dual focus: Teaching Principles and Teaching Skills. I like my students to come away with an understanding of data visualization best practices and how to tell effective data stories. But I also want them to have enough software skills to apply those principles to their own work. 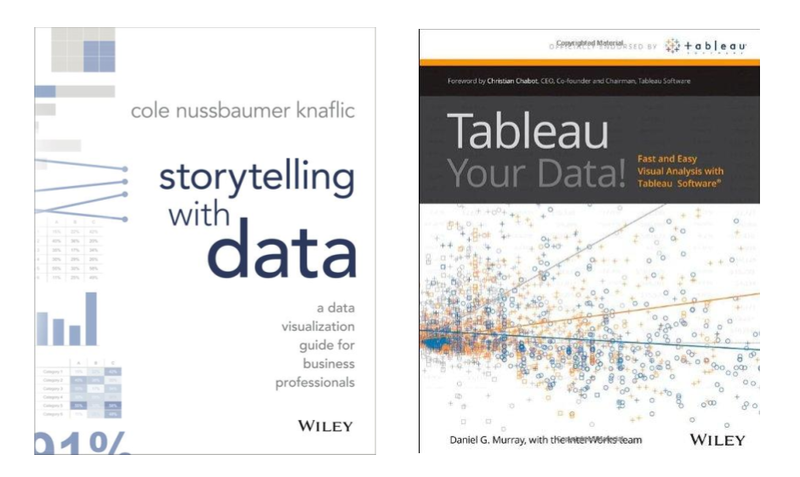 My course is built around a series of recorded lectures — about an hour's worth each week — in which I teach my students the technical skills of using Tableau while also getting them to think about the fundamentals of data visualization. Wherever possible, I try to teach them principles at the same time as I'm teaching them practical skills. To use one example, I teach students the technical steps of how to make a stacked bar chart in Tableau. But then I change the order of the segments to illustrate how stacked bar charts can be hard to read. And then I use Tableau to make a grouped column chart, area chart and line chart out of the same data and then point out the pros and cons of each. Despite disagreeing with her focus on literary storytelling, I really like Cole's book and think it does a great job of providing a lot of clear advice along with solid examples. And Dan Murray's "Tableau Your Data!" 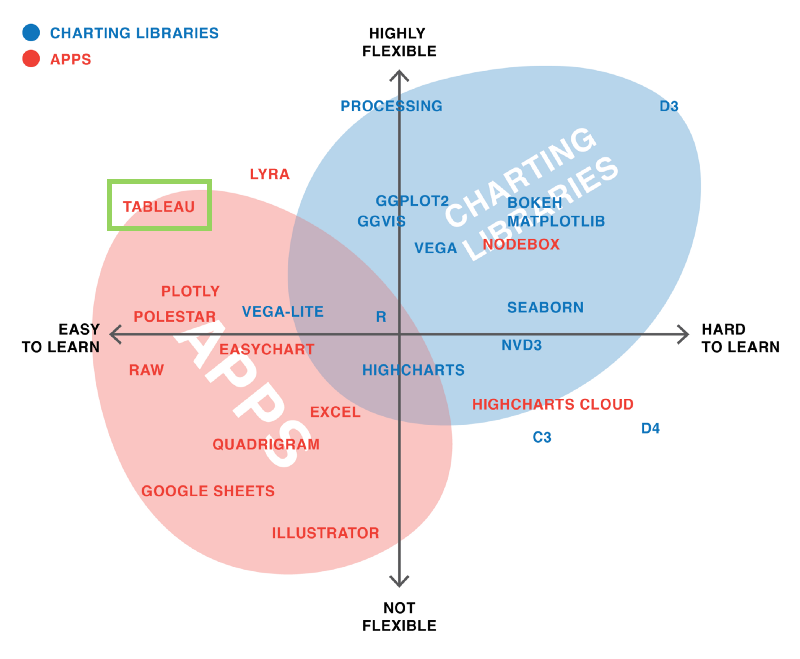 provides one of the most comprehensive guides to Tableau that I've come across. As you'll see below, I also included several chapters from the ebook Data + Design. Below are links to the rest of my course readings, as well as videos that I recommend my students watch in addition to my lectures. Just to provide a bit of structure to the list, I've broken it down by topic week. Those topics primarily reflect the content of my recorded lectures, which aren't public, so sometimes the readings will match the topic and sometimes they won't. Also, full disclosure: I've included a couple of my own pieces in the list below. This is mainly because they covered key topics I wanted to include in the course and having them in the readings saved me from needing to address them in my lectures. 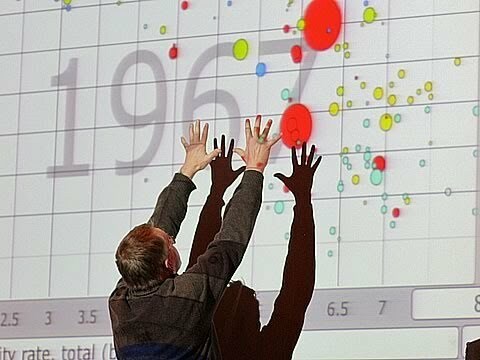 Finally, if you've come across a great reading or video on data visualization or Tableau that's not listed here, please add it to the comments so others can find it. 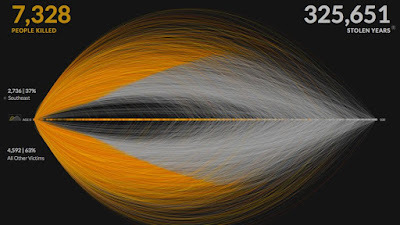 And if you've got a data visualization reading list of your own, please provide the link. Thank you for the amazing resource.